The 2018 International Conference on Modeling and Analysis of Semiconductor Manufacturing (MASM) aims to again be a forum for the exchange of ideas and industrial innovations between researchers and practitioners from around the world involved in modeling and analysis of complex high-tech manufacturing systems. We are convinced of the worth and importance of the continuation of the MASM events held in Tempe, Arizona in 2000 and 2002, Singapore in 2005, Miami, Florida in 2008, Austin, Texas in 2009, Baltimore, Maryland in 2010, Phoenix, Arizona in 2011, Berlin, Germany in 2012, Washington, DC in 2013, Savannah, Georgia in 2014, Huntington Beach, California in 2015, Washington, DC in 2016, and Las Vegas, Nevada in 2017. The MASM 2018 conference will be fully contained within the Winter Simulation Conference 2018 (WSC 2018), the leading conference in discrete-event simulation. However, MASM 2018 covers a much wider range of techniques and approaches than simulation (e.g. optimization, scheduling, queueing theory, process control, data analysis). WSC 2018 features a comprehensive program ranging from introductory tutorials to state-of-the-art research and practice. WSC 2018 will take place in Gothenberg, Sweden. All attendees of the MASM conference will register for WSC 2018 at the same cost. All participants of WSC 2018 can attend MASM 2018 sessions. We are looking for high-quality academic and applied research at all levels of semiconductor manufacturing. At the equipment and process level, we would like to cover various aspects of Equipment Maintenance and Productivity, Quality and Advanced Process Control (Statistical Process Control, Fault Detection and Classification, Run To Run, Virtual Metrology, …), but also how to handle and exploit the huge amount of data generated in semiconductor factories (big data). At the shop-floor level, optimized WIP management, dispatching, scheduling and sampling of lots or qualification management of products on machines remain critical in particular when handling new complex constraints. At the factory level, it is important to develop efficient transportation and storage policies, production and capacity planning approaches, as well as cycle time improvements and time-to-market reductions. At the strategic level, demand planning, factory economics and cost modeling, new product introduction, and supply chain efficiency are important topics to support the business. We invite participants to present on all topics related to modeling and analysis that will help address these challenges. We also welcome contributions that integrate decisions or information at different decision levels, which is becoming a must. These various goals will be attained through new advanced control and statistical methods, computing techniques, and operations research methods. While the MASM conference is mostly focused on the current semiconductor industry state-of-the-art, neither presenters nor attendees need to be in the IC industry to participate. We are interested in methodologies, research and/or applications from other related industries such as TFT-LCD, flexible displays, bio-chip, solid state lighting (LED), and photovoltaic (PV) that might also share or want to share common and new practices. The conference includes tutorials and related software demonstrations within the Winter Simulation Conference 2018. A broad range of papers is sought, including theoretical developments, applied research, and case studies. Interested individuals within academia, government agencies, equipment suppliers, manufacturers, students, contractors, and other interested parties are encouraged to participate. MASM will feature a keynote talk by Lars Mönch, Professor at the University of Hagen in Germany. 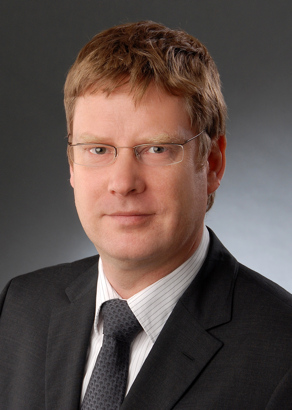 Professor Mönch is active in applying operations tools and techniques in semiconductor manufacturing, both in academic research and by working with semiconductor companies. Please follow the WSC 2018 Author Kit to prepare your MASM 2018 paper at http://www.wintersim.org. MASM 2018 will be held at the Swedish Exhibition & Congress Centre in Gothenburg, Sweden. Gothia Towers is the host hotel for WSC 2018.